Horse Haven World Adventures – Games for Android 2018 – Free download. 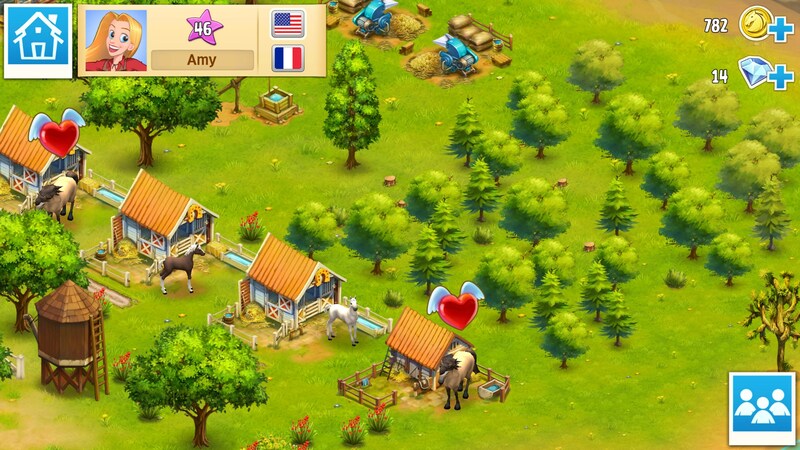 Horse Haven World Adventures – Play with horses and evolve your ranch. 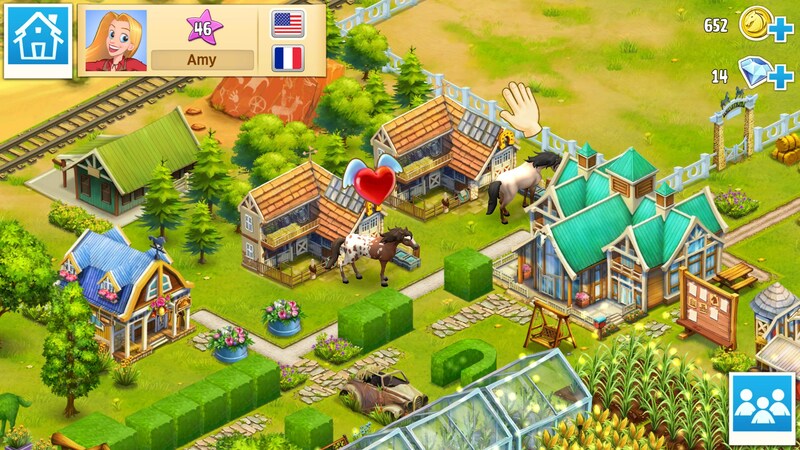 Horse Haven World Adventures for Android is a sim based game that takes place on a budding ranch. Your mission, is to tend to your horses, do chores and build up your ranch into a thriving outdoor environment. This one is charming and engaging, but can cost you a pretty penny if you're not mindful of your pocketbook. Horse Haven World Adventures displays i landscape to offer an aerial point of view, looking down on your budding ranch below. The viewing angle does shift, depending on what you're doing. Basically, you are charged with taking care of your aunt's failing ranch, which is in need of some tender loving care. So you do some basic chores, slap on some new paint, and build supporting structures required to run a successful ranch. 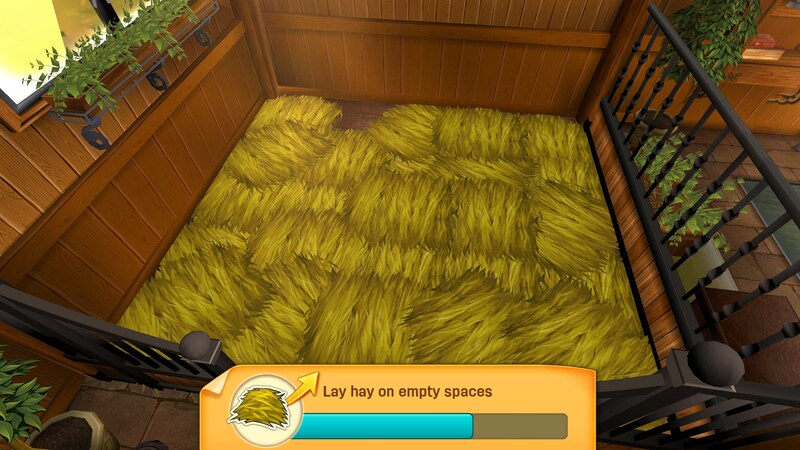 Naturally, you also get to play with virtual horses, place down hay in the barn and feed them some yummy oats designed to make them grow big and strong. 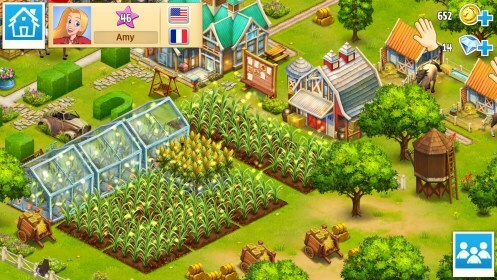 The app smartly allows for visiting other ranches, which offers the opportunity to see all the game is capable of, with an investment of both time and a few dollars. The controls are very basic, just taps and slides to place structures and make basic selections. The graphics are nicely detailed, with an inviting color scheme and enjoyable visuals that effectively draw you into the play. 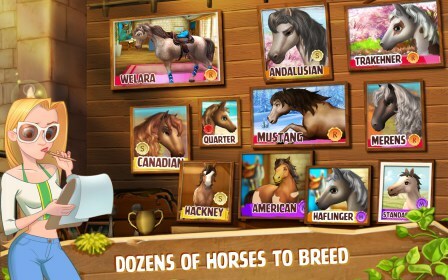 The animation is top notch for a game like this, with lifelike movements of your horses. The sounds go for realism, with authentic sounding effects along with a quiet, twangy score that's pleasing to the ear without getting tediously monotonous. 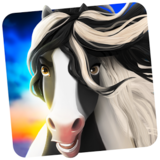 Horse Haven World Adventures is a quality sim adventure that's sure to please equine addicts of all ages. 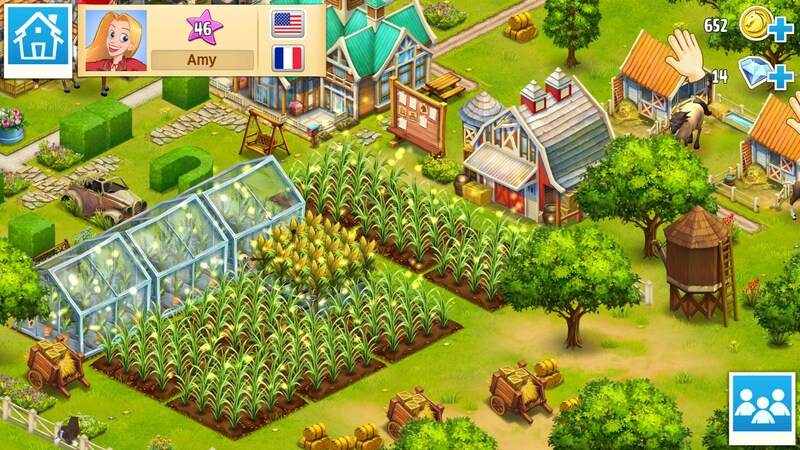 I although can't install the game on my Samsung galaxy tab 3 running with Android 4.4.2. I contacted Ubisoft and they told me, that it's not running on my tab. Sorry! It's always unfortunate to hear developers not supporting certain devices. 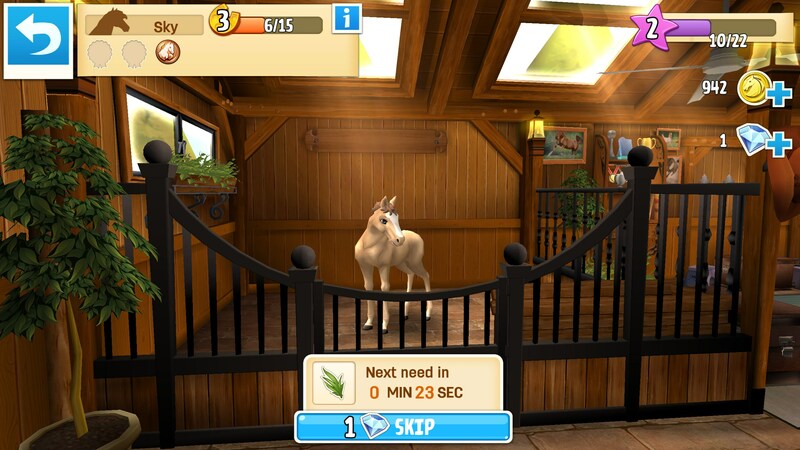 So we can't get this game, Horse Haven, to play on our HP Slate 7 Extreme, running Android 4.4.2 - It installs but get stuck loading at "initializing" stating that "Unfortunately Horse Haven has stopped running." We've installed and uninstalled; updated the tablet, etc. Any suggestions?